Award-winning, Amadeus Hardwood Floors & Interiors takes pride in offering only the highest quality of hardwood flooring available today. Specializing in custom installations, restorations, repairs & refinishing of all types in Northern NJ and surrounding areas. The finest services provided to, homeowners, businesses and builders while maintaining high standards, reliability, strong work ethics and bring years of experience to the table. The best in dust free refinishing and offer a wide range of services to accommodate all of your hardwood flooring needs. 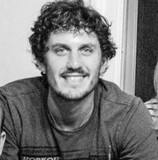 Robert’s expertise of restoring antique floors has become his niche. While most companies say it can’t be repaired or restored, Robert accepts those challenges and has mastered the art of antique wood floor restorations. This an owner operator business, I got into the flooring business in 1990 and established Pro-Master Flooring, Inc. in 2005. We have an A+ rating with the Better Business Bureau. 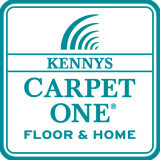 *Authorized Armstrong Dealer* At BC&N Carpet, previously Carpet One in Newburgh we are a one-stop shop for all of your flooring and home improvement needs. This is especially true because our facility also houses the businesses of Affordable Granite & Cabinetry and Benjamin Moore. As a family-owned and operated flooring company, we offer personalized service that is simply unmatched by our competitors. We can assist you with each step of the process, from the initial selection to your official flooring installation in Orange County, Dutchess County,Ulster, or a surrounding area. 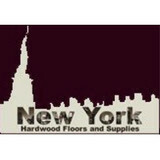 There are many reasons to choose BC&N Carpet, including the following: We offer the best prices in the Hudson Valley. We offer prices and selection for every budget. We have financing options and free estimates. We have more than 25 years of experience. We provide the highest quality of service. Here at BC&N, we offer a wide selection of different flooring materials, so you never have to worry about us not having the right product or style for your project. When you choose to work with our company, your satisfaction is our priority! Give us a call now at (845) 201-5192 to request a free estimate. 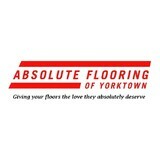 Owner operated, family owned business, with 35 years experience. All work is preformed by trained and certified professionals. Any job, from a small repair to a large custom home. We specialize in dust containment, 0% voc custom oil finishes, Bona green guard certified products and UV cured finishes. All installations basic to custom. What kinds of services do hardwood flooring installation professionals in Hillside, NY provide? 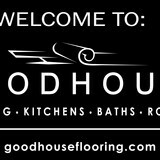 Find hardwood floor experts in Hillside, NY on Houzz. Search the Professionals section for Hillside, NY hardwood flooring installers and dealers or browse Hillside, NY photos of completed installations and look for the professional’s contact information.